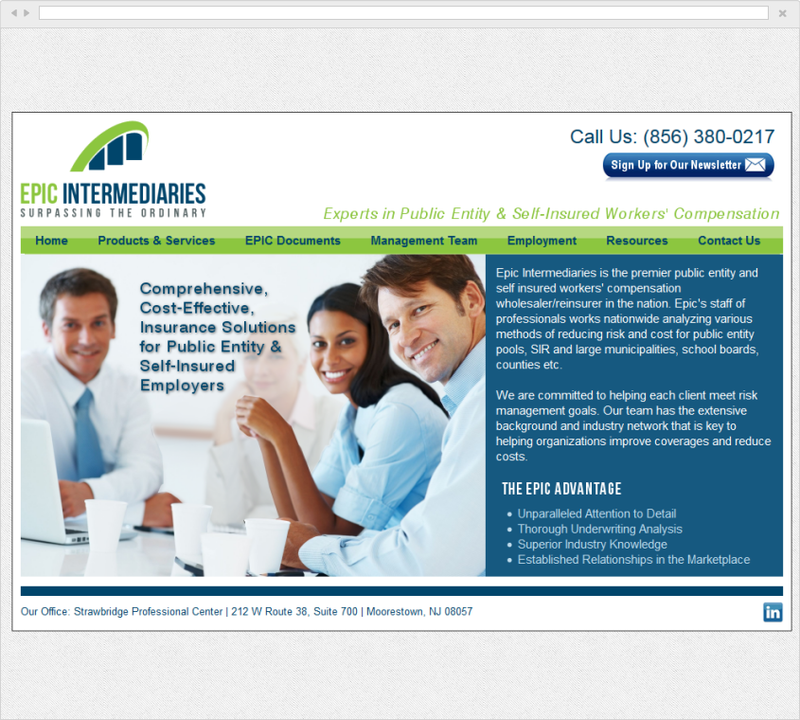 Epic Intermediates is a wholesaler and reseller of Workers Compensation Insurance. 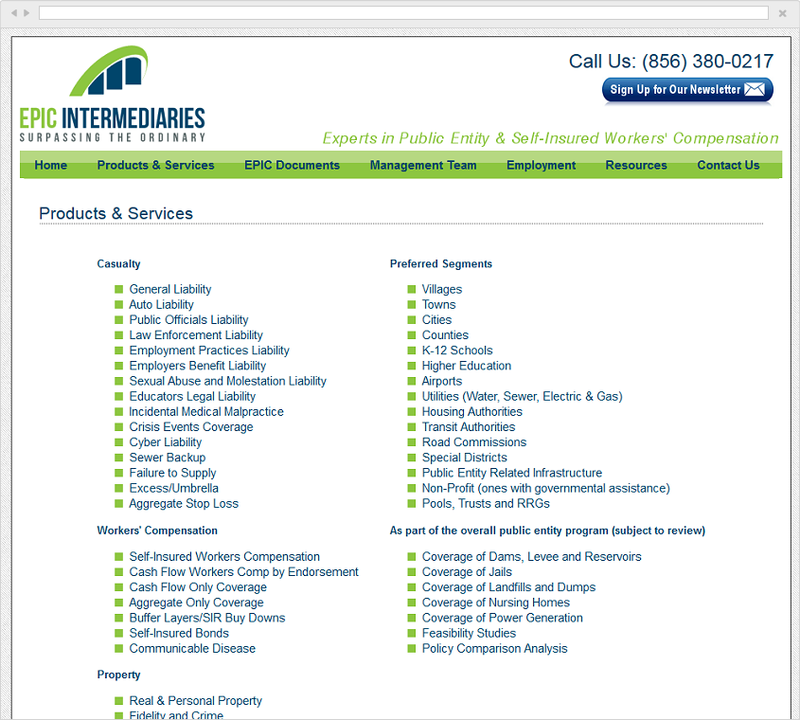 Their primary focus is to service self-insured entities such as large municipalities, school boards, counties and other institutions. They pride themselves on finding the most-cost effect solution by analyzing various methods of reducing risk and cost. 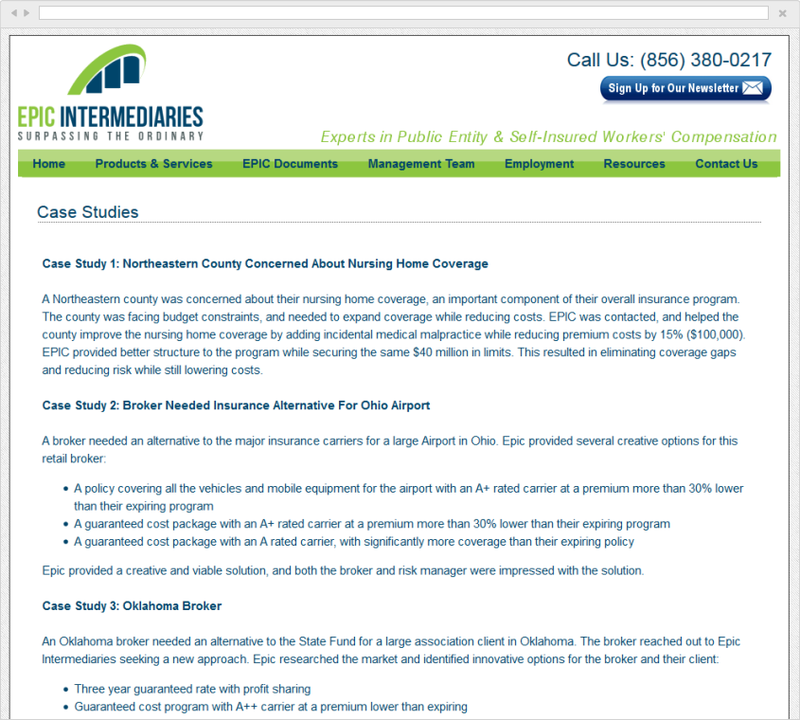 Epic Intermediaries is committed to helping each client meet risk management goals. Their team has the extensive background and industry network that is key to helping organizations improve coverages and reduce costs.